Our RJ45 ends for Cat5e networking are used for crimping and terminating Gigabit Ethernet cables. These 8P8C connectors can be used for solid or stranded cable applications on internet and phone networks. Our Cat5e crimp connectors have gold-plated contacts that give you a solid, corrosion-free connection for life. Ordering RJ45 connectors in bulk from CableWholesale means you will have enough to set up or modify your infrastructure. We have a full lifetime warranty on these cat5e tips with full support from our knowledgeable team. Great quality and price. I have paid more, for less. Haven't used them yet, but they look great, it was inexpensive, and will be of great use to my office! A good connector for most any application. 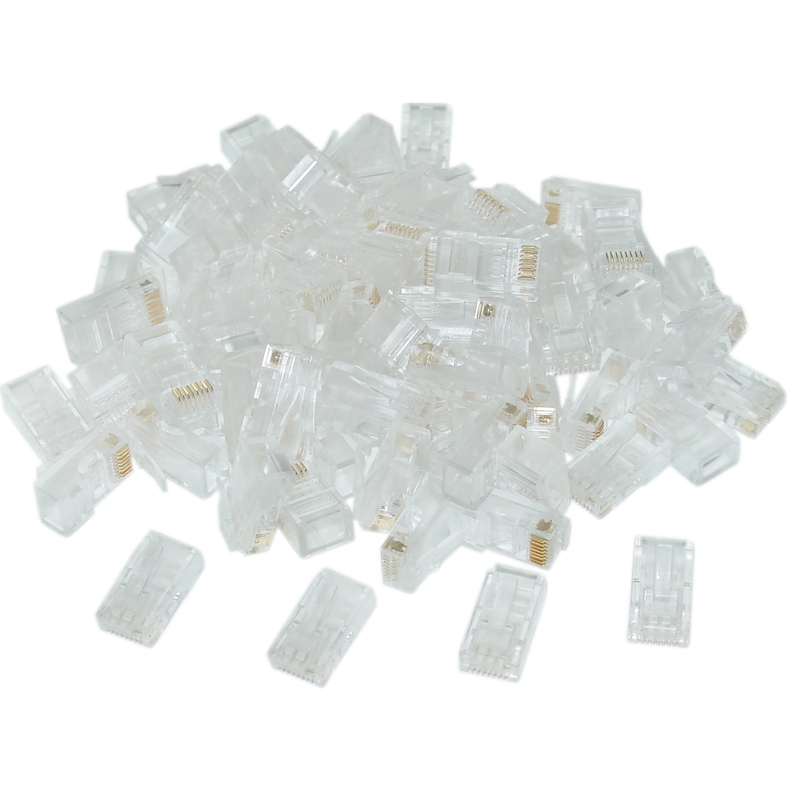 They are as good as, if not better, than any other RJ45 solid connectors I have used over the past 15 years. I will not hesitate to buy then again.